Christopher Elwood, A Brief Introduction to John Calvin. Louisville, Kentucky: Westminster John Knox Press, 2017. Xii + 95 pages. $17.95, paperback. 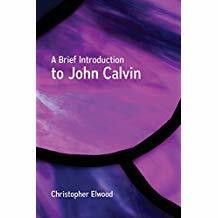 Christopher Elwood, A Brief Introduction to John Calvin is just as the title suggests: brief and introductory. It forms one of a series of similar books recently published by Westminster John Knox Press on the Reformation and Martin Luther. Following a very quick summary of the life of John Calvin in two chapters (18 pages), Elwood provides what is the lengthiest chapter of the book (43 pages)—a helpful and concise summary of Calvin’s Institutes of the Christian Religion. Then follow two final chapters: one, describing some background material on specific aspects of Calvin’s theology (predestination and the controversy with Jerome Bolsec, Trinitarian heresy and the Servetus affair, and Calvin’s worldwide vision of the church and the consequent “wars of religion” that marked the latter half of sixteenth century Europe); the other, and far more controversial chapter, an analysis of the reformer’s “children” in more recent times. Readers familiar with Elwood’s earlier introduction to John Calvin in the “Armchair” series (Calvin for Armchair Theologians. Westminster John Knox Press, 2002), complete with amusing illustrations by Ron Hill, will perhaps draw the conclusion that this newer book is the version “without the pictures.” That would be slightly unfair, since this assumes a little more (though not much) knowledge of reformed theology. As an “introduction” the book serves its purpose well, though this reviewer wonders who precisely the audience may be. Surely seminary students (and two-thirds of the book is a very fine analysis of the Institutes) will need more than this volume provides. One thinks of works by T. H. L. Parker, Anthony Lane, J. Mark Beach, Douglas Wilson, David Hall (ed.) and especially, David B. Calhoun, all of which engage in a deeper analysis of the Institutes. However, to the novice, and especially one whose assessment of Calvin is largely pejorative, Elwood’s treatment provides a much welcome realignment, even (especially!) on some of the more difficult areas such as double predestination and the burning of Servetus. These sections alone provide much needed redress of popular misconceptions and prejudices. If only Elwood had not used the word “Puritans” (p. 36) in an altogether negative manner! Perhaps we can expect a similar “Introduction to the Puritans” in this series that removes similar prejudices to that of John Calvin. It is the final chapter (“Calvin’s Children”) that some readers will find most troublesome. To be fair, Elwood appears to take the high ground, as he briefly writes about Calvin’s children: Weber’s overwrought thesis about the origins of capitalism, western political rebellion against “illegitimate” government and authority, seventeenth century Calvinism (of the 5-point Dordrecht variety), Puritan Calvinism (Elwood evidently defines the term narrowly so as to exclude Episcopalians such as Richard Sibbes), Schleiermacher’s view of religion as “absolute dependence,” the “fundamentalists” (Elwood cites Charles and A. A. Hodge as well as B. B. Warfield), and the influence of Karl Barth and H. Richard Niebuhr, as well as the Latin American, African and Asian liberation theologians of the twentieth century. All these streams of disparate thought owe some allegiance to the sixteenth century for sure, and Elwood is correct on drawing attention to them. Can one really view a movement that seems to have launched a frontal attack on the Bible as a reflection of Calvin’s legacy? If one views liberalism as an attack on the Bible, probably not. Most liberals, however (Schleiermacher included), did not think that critical interpretation of Scripture was an attack on the Bible. Instead, for them, to read the Bible critically was a measure of one’s serious interest in the text itself. Critical methods were not used to demolish a sense of biblical authority but to understand the text better in all its meanings. (pp. 80-81). To be fair, Elwood is correct in suggesting that Liberalism did think precisely this way about the nature of theological investigation and its relationship to the tradition of reformed theology, but contemporary readers require more if they are to discern whether or not Calvin would have approved of such a view. He most certainly would not have done. 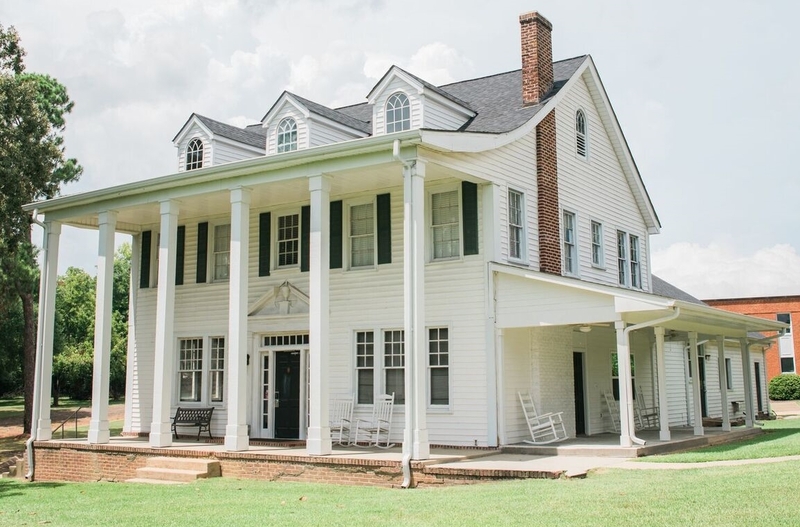 Those, like Gresham Machen in the first quarter of the twentieth century, who argue that Liberalism is an entirely different religion from Christianity—the biblical Christianity outlined by Calvin’s Institutes—will find Elwood’s attempt at a middle-road approach, disappointing and ultimately, misdirecting.